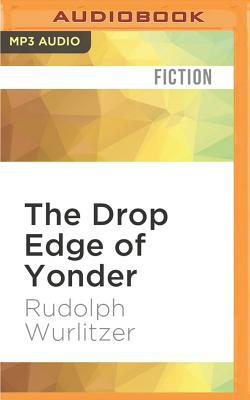 In his fifth novel, Rudolph Wurlitzer has written a classic tale of the Western frontier and created one of his most memorable characters in Zebulon, a mountain man whose view of life has been challenged by a curse from a mysterious Native American woman whose lover he inadvertently murdered. The Drop Edge of Yonder begins in the mountains of Colorado and ends in the far reaches of the Northwest, a journey that includes the beginnings of a Mexican revolution, a voyage across the Gulf of Mexico to Panama, and up the coast of California to San Francisco and the gold fields. Along the trail, Zebulon becomes involved in a series of tragic love triangles, witnesses the death of his mother and father, and confronts the age-old questions of life, love, and death.